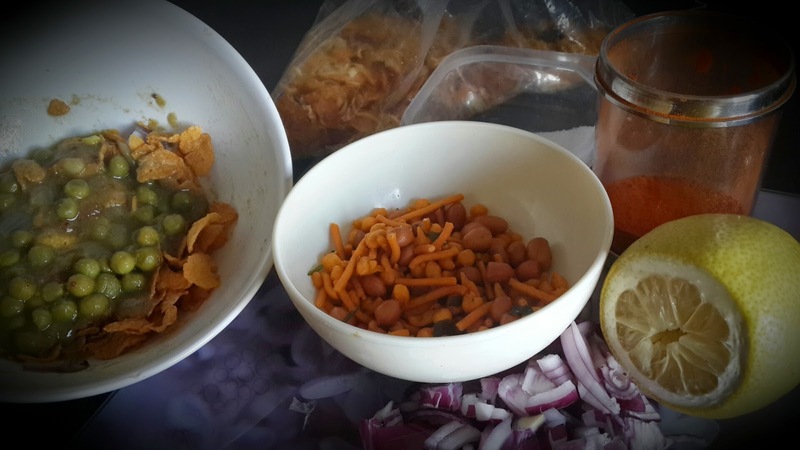 Masaal puri -easier and quick way to enjoy masala puri when you want! 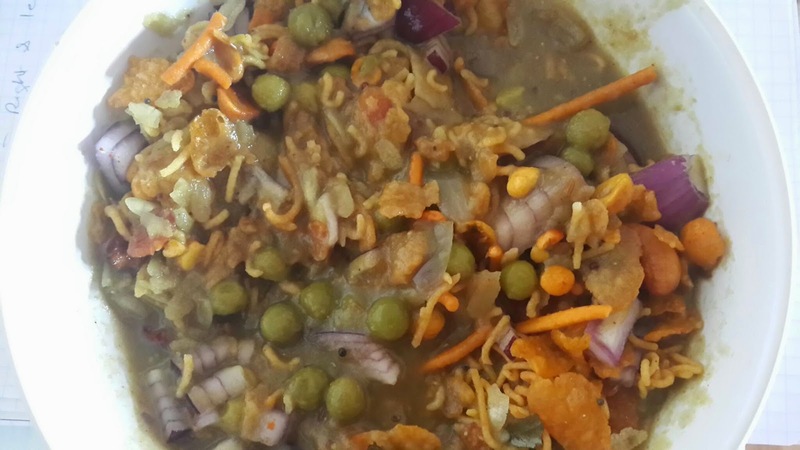 Dilute the aloo peas curry and allow it to boil well for 5 minutes. Now take a plate or bowl and add 2 big ladels of aloo peas masala, then add cornflakes mixture, onion, carrot, tomato, chilli powder.